This weeks picture is from Haiti, HH. Let’s still support the relief work going on there. 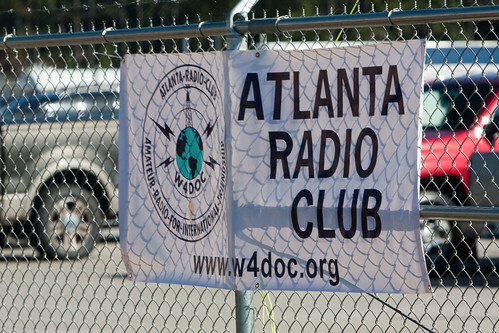 One of the great things about amateur radio is that there are so many different aspects to the hobby. One can spend years on DX’ing only to become enamored with VHF and then move on to some digital mode. But sometimes, there is simply a lull. A period of time where not much happens. I’ve been through that time here; not much has been posted for several weeks. Most of it is the day job…some stuff that is very exciting is happening and there is even better stuff coming up. But, have all of that going on and then switch to a Mac from Windows for work and your hobby and you don’t have a lot of time to get back into serious hobby work. I’m trying to get the Mac to talk to my radio through my microHAM interface. I’ve looked at a couple different programs. I’ve tried to make it work. But what I have done is spend a half hour on it and then said…no, more important stuff to do on the day job, so go do it. I’ve asked for some help — and have gotten it. More on that later. But I haven’t had time to do the serious work to get everything working. In other words, a poor attempt to get stuff set up that doesn’t represent the passion of the hobby. It happens. Does that mean the hobby doesn’t mean as much to me? Nope. It just means that a hobby is a hobby and sometimes the hobby doesn’t count as much as that which earns you a living. I need to respect that. And I do. But I feel guilty about it anyway. Wouldn’t you? Oh…and doesn’t the site’s new look just rock? You may want to reconsider that notion and just buy another Windows PC. Or a Mac. I still have an XP laptop and I’d never go through the exceptional hassle of upgrading to the greatness of Windows 7. Not so much. I’ll wait. You see, if you turn the radio on and have an antenna, you can hear signals on the air! Now to connect the radio to the iMAC. Hmmmm…. The K9JY site was hacked over the last couple of days and you should have seen some weird screen renderings of the site. All should now be good. At least I hope so. I try and not go nuts on the security stuff, but ever since I started putting out the K9JY WriteLog User Site, people started putting me in their Outlook contacts and you know how that goes. The mail lists get hacked and sends out viruses and other assorted malware and then I get all the hacked e-mails filled with the viruses. So I’ve always been careful and, thankfully, have never had my computers hacked from any of that stuff. And my passwords are relatively bulletproof. The classic strong password generated and installed. In the relatively newest version of the software I use on this site, there was an “XSS” vulnerability identified. On Monday night, I first saw the updated version of the software that fixed the vulnerability. Tuesday morning I was going to install it since installing software at 9 PM in the evening after enjoying wine and company is not exactly the smart approach to doing upgrades. But, the time I tried on Tuesday morning, it was clear something was not working right — I couldn’t access the admin panel, I couldn’t get any of my posts listed, nor could I list my installed plug-ins. Like, hosed. Plus, the site, to visitors, would load great. Or not. Or sometimes. Looking at the server error messages, there were many. With some good help from my hosting company, we eliminated the possible server issues and concluded I’d been hacked. First time ever. That troubleshooting rule is simple: the first thing you fix will reveal the other two things that went wrong in the first place. So it was here. I couldn’t do the automatic upgrade to the software because I couldn’t access the admin panel to do it. So I quickly learned how to manually get the software, download it, unzip it and then carefully follow the directions to do the upgrade. The instructions don’t tell you that when the software was originally installed, there were passwords to access the databases for the application. And the database names for the application. Fortunately, I knew that there was a file that had that information in it and downloaded it via FTP to a nice safe place. It was a big potential gotcha. Whew. Then, I carefully deleted all of the files and kept all of the other non-related platform files, like the layout of the site (called a “theme”) and some plug-ins that make things show up right (like the listing of the most popular posts in the sidebar is done via a plug-in). Finally, I uploaded the new upgrade, hit the upgrade executable and logged in. The upgrade was a success. But the problem didn’t go away. When I logged into the dashboard, I could see that I was on the new version of the software. But I still couldn’t do anything. So then I re-installed my Theme. Nothing changed. Then I went to the Plug-ins. I couldn’t see the entire list of installed plug-ins (I wanted to deactivate all of them to get to a vanilla installation), but I could individually click on the plug-in name and go to the settings page for it. Finally, a plug-in that searches Flickr so I can insert cool pictures on the site (like the pics for Sunspot Saturday) said it needed authentication before it could work. And since I’ve had that plug-in authenticated for about 18-months, something was up. When I went to authenticate it to Flickr, my Flickr account opened and politely told me that something was trying to authenticate with it, but what it was sending to authenticate was crap. I went and deleted the plugin that interfaced to Flickr and then…finally…all was well. The admin pages loaded correctly and so did the site. After looking through everything and updating all my stuff in the Theme that was reinstalled, I declared victory. Another day lost to software infrastructure problems, that thing that is supposed to make us more productive. The software people are really good at quickly identifying security issues and putting out fixes. Rare that it happens now as the security sweep is part of the overall testing. But hackers love to hack. I just hope that my sites (all the rest were fine) don’t fall into the IP address range the hacker is attacking before installing the fix. And, yes, I have several weeks of backups, so if push came to shove, I could get all of it back. But, that’s a pain in the rear as well. And takes time and resources to do. And to verify once the backup is done. But, all is well. At least I learned how to manually upgrade the software and I added a few things to my upgrade checklist. Now, to turn on the radio. The iMac: Will ham radio be the same? Well, I took the plunge. I bought an iMac. Interestingly, it was over two months ago, but I haven’t gotten around to doing any ham radio stuff with it yet. Too busy getting the rest of it setup for the business (Cube Rules). I’ve seen a bit of software out there for ham radio on the Mac, but I haven’t tried any of it out just yet. What I have seen looks compatible with my interfaces I already have, including Log of The World — but I haven’t tested any of it yet. Windows started to fail with the advent of the iPod. It was the first sense I had that Apple was about cool tools and not about big platforms. Windows was always about platforms, not making things work. And work it was — I spent a great deal of time getting anti-virus software, cleaning registry software for performance, getting hard drives taken care of and chasing quirky problems that always showed up at the wrong time. Months would go by while searching Google for the Forums where someone finally came up with a solution that really worked. After searching hundreds of entries with the same problem identified as I would have — with no answers. Then came the iPhone. The iPhone made it quite apparent to me that I didn’t need my Windows laptop with me when I went away except for DXpeditions and to access my business sites to enter in articles like this and doing maintenance work (which, of course, the passwords won’t export over to Windows so the K9JY site was down much of my vacation…). Then, in a ThinkPad (I’ve always had ThinkPads here) that Kate uses started to simply lock up for no reason. First it was once or twice a day. Then it was every hour. Once it hit every hour, we made sure we had everything off the computer (I have always done backups, but when you have time to really look, you discover other stuff that needed backing up!). Finally, the thing wouldn’t boot up at all. In the meantime, over the month this was happening, we had done everything except reinstall Windows and replace the drive. Well, once you get to that point, you have to seriously reconsider your assumptions about your platform. And, to be fair, Kate and I decided not to go to Windows with the next computers we would get. As soon as we were ready to replace the laptops — in a couple of years — that would be that. I had no intention of going to Vista or whatever else comes up out of Microsoft. But the laptop giving up the ghost in just over a year means (to me) that everything is coming up crap — sure, Windows computers are cheap, but everything is so fragile in software and hardware components that the probability of failure is extremely high. So, we walked into the Apple store and got an iMac. Then, two weeks after that, my laptop started having intermittent issues. Here we go. Except I went to the Apple store and bought another iMac for me. And, when we get enough dollars, we are getting two Apple Notebooks and that will be that. And good riddance to the Windows stuff as well. My level of stress in administering my business is much less since Apples arrived. I only have to deal with the infrastructure of the web sites and updating that software. Not updating Windows and the five thousand programs you need to really manage Windows. Not chasing after intermittent problems Windows cause that drive you crazy because all you want to do is your work, not administering Windows maintenance and troubleshooting. Apple, of course, is not perfect. No company or software is. But the approach is quite different with Apple: a bulletproof operating system (yes, I know it isn’t bulletproof, but that is the approach…) with a set of other tools to get stuff done. It has been both more difficult to make the transition to an Apple (why, for example, does Office for Mac not look anything at all like Office 2007 and why doesn’t Microsoft offer Outlook in the package? Just mystifying…) and much easier to transition. It’s easier to transition because once you get the hang of the tools and get over that learning curve, you aren’t worried about whether or not the operating system will fail. One of the last issues holding me back from making the transition to Apple was the fact that most ham radio software is built to run on Windows. And since I am much associated with WriteLog, even though I didn’t write the program, the whole DXpedition, contesting, writing about WriteLog becomes much more interesting. But, all of that wasn’t enough to overcome my constant frustration with Windows and all the setup the software requires you to do to get anything to work. And, trust me, I know more about computers than your average bear. For me to get that frustrated tells you a lot about the state of the PC world. So I’ve jumped the Windows ship and now look to do ham radio with a Mac. Any good suggestions on software to get going? I need it all — contesting, logging, Log of The World, digital modes, controlling a Yaesu FT-1000 PM and more. I’m ready to dive in. When taking notes at the end of the contest — what went well and what could have been better — what should you consider for inclusion? Forced time off at right times? Once you have all of your notes, you build a to-do list for the next contest and start to complete those items. This is a great way to continuously improve your contesting skills while learning your station’s strengths and weaknesses. This also helps you see your improvements in your contesting and that provides further motivation to improve. Any other items that help us learn from every contest?